The conflict between the Hatchet Gang and the Golden Tigers that started last episode kicks off Iron Fist season 2 episode 2. A Golden Tiger gang member is ambushed and killed in broad daylight by members of the Hatchet Gang. The dying Tiger stumbles into the street, where he is found by Danny, who attempts to stop the Tiger’s bleeding. Danny tells the onlookers to call for help, but no one wants to get involved. Nobody saw a thing, you know? After the attack, Danny runs into Mary in a coffee shop and offers to walk Mary as far as his place on her way to sketch people in the park, since it would be a bad day to go wandering around Chinatown with the Triads at war and all. Near Danny’s place, Mary suffers another spell and Danny takes Mary to his place to rest, where Mary meets Colleen. In the bathroom, the naive Mary gives way to an aggressive Mary, who storms out of the apartment. At the episode’s end, we learned that one of the Marys, likely the aggressive one, has been following Danny around town and photographing him. Aggressive Mary left another post it for naive Mary, telling her to STAY AWAY FROM DANNY RAND. Colleen continues her search for information about the box bearing her family’s crest. While checking out the one lead that she has, Colleen learns that Mrs. Yang is throwing a casino night fundraiser for the center. Outside, Colleen is tricked into breaking up a mugging, which is nothing more than an attempt by the same young Hatchet Gang members she keeps running into to pay her back for the two times she’s already stopped them. Police sirens chase the gang members away, and Colleen follows them back to their hideout, where she clears the air with their leader, Ryhno, and tells the that if they won’t accept her help at the center to at least keep their heads down. On the way out, Colleen learns that the Hatchet Gang was planning a hit to take out the leaders of the Golden Tigers. 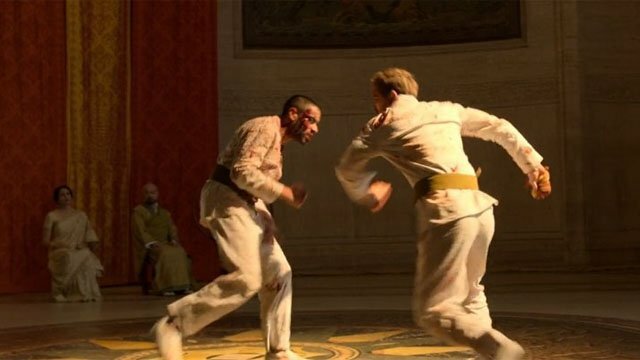 Throughout the episode, Danny catches a few minutes here and there to reminisce about his fight with Davos, which named him the champion of K’un-Lun. The only way the battle was to end was with one of the two combatants either yielding or dead. At the end of the fight, we see that neither happened. Davos’ father stopped the fight when Danny got the upper hand, perhaps saving Davos’ life but cursing him to the shame of losing. Thus, with neither having yielded nor died, the fight goes on. When he wasn’t daydreaming, Danny was working to end the violence in Chinatown. Danny pays Mr. Yang a visit in order to get the Hatchet Gang leader to see the value of negotiating a peace with the Golden Tigers. Yang’s not having it. He will have blood. Danny, frustrated, seems to unconsciously summon the power of the Iron Fist. Danny’s violent tendencies are catching up to him. At Colleen’s direction, she and Danny approach Mrs. Yang at the center’s casino night fundraiser. Colleen appeals to Mrs. Yang’s sense of decency and asks Mrs. Yang to get her husband to call off the hit that very night on the Golden Tigers at the memorial for the gang member killed in the episode’s open. Where Danny was walking a path of increased violence, Colleen’s path was toward diplomacy and peace. Joy and Davos continue their plan to acquire the items needed to strip Danny of the power of the Iron Fist. The two attend a party ahead of an antiques auction. Ward shows up to confront Joy, but is blown off. Davos and Joy lay their eyes on the prize they are after, a bronze bowl. Davos, impatient and wants to take the bowl now, even if it means killing. Joy suggests using seduction to trap the bowl’s owner in a scandal that would ruin her husband’s Congressional re-election bid if made public. All of Joy and Davos’ scheming may be for naught. 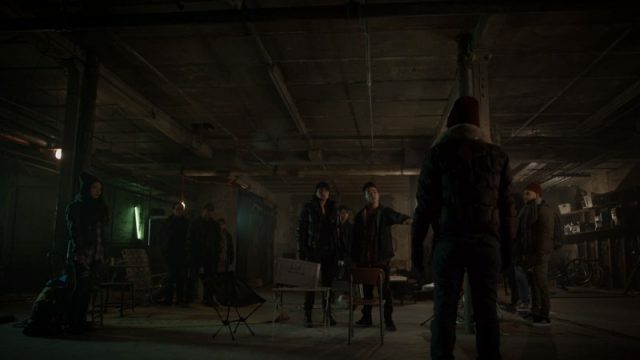 The peace negotiation between the Hatchet Gang and the Golden Tigers means that Yang can no longer ensure the security of whatever package Davos is having shipped through the docks. Without Joy there to stop him, Davos take the violent approach, tapping Yang with the touch of death. What did you think about Iron Fist season 2 episode 2? Let us know in the comment section below! The post Iron Fist Season 2 Episode 2 Recap appeared first on ComingSoon.net.